As the school year is coming to an end, I have been in the need of a few Retirement cards. 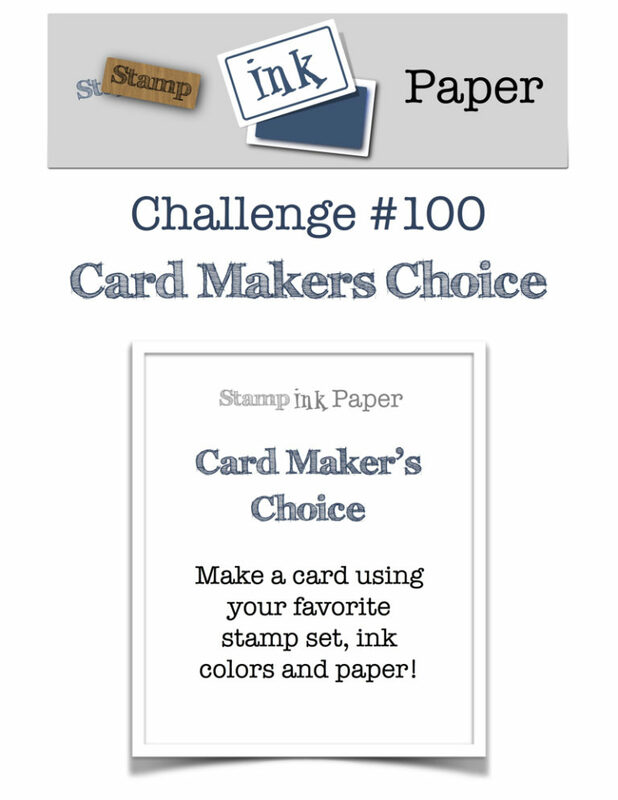 I was blog surfing to my usual challenge sites that I follow, and I came across Stamp Ink Paper’s 100th Challenge. I knew this was going to be perfect for the card I had in my head. By the way….Congrats to them and their Design Team for such a milestone! I grabbed one of my all time favorite butterfly sets from Verve, my favorite color combo of Kraft and shades of Aqua, Pool Party Ink, and one of the best techniques-heat embossing and went to work. Here are a few more details: The sentiment I chose is from Stampin Up and the leaf die is from Verve as well, plus I can’t make a card these days without my stitched rectangles from MFT. Look at the DP, isn’t it awesome? So basically the entire card was made from some of my favorite supplies! Categories: Cards | Tags: Card making, Cards, heat embossing, retirement, rubber stamps, stamping, Stamping Up, Verve Dies, Verve Stamps | Permalink. 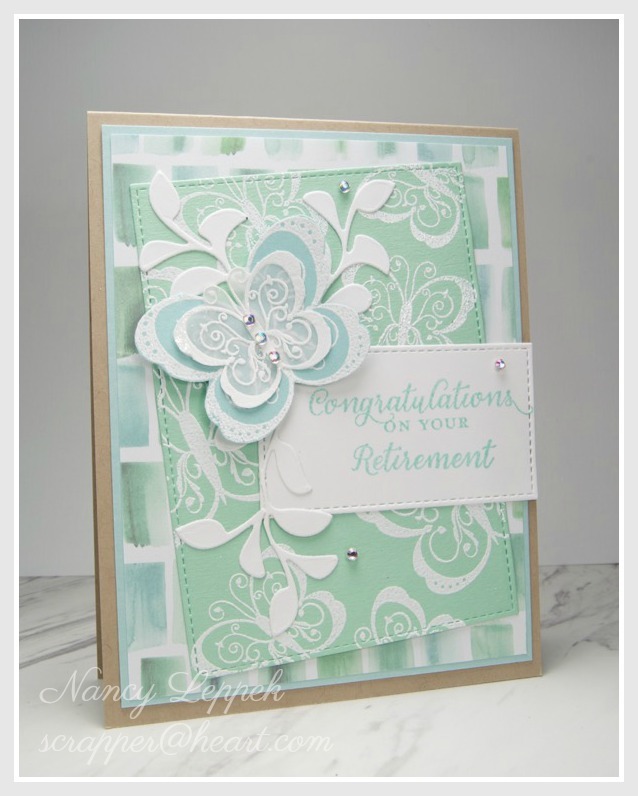 Such a pretty retirement card. Love your color combo and the pretty butterflies. Nancy, this is so beautiful. Love the soft colors. This is just gorgeous! The color you chose with the butterflies and background paper….just stunning! Thanks for sharing this with us at SIP this week and good luck! This is fabulous, love this color combo with the Kraft. I recognize the design paper, and will need to keep this idea for a card soon. Those sutuched rectangles with the butterfly are so fresh! Your own embossed background looks fantastic with the DP, Nancy. The beautiful butterfly and leaves draw attention to the sentiment in a wonderful way. This is really lovely. The colors are soft and very calming. I love all of the butterflies. Wow Nancy this is so beautiful!! I love these colors together! !